A smooth mild creamy recipe also known as Murgh Makhani. Delicious Authentic Quality Cooking Sauces. Simply add your meat & simmer. Water, cream (20%), onions (20%), tomatoes (5%), canola oil (3.5%), sugar, ginger, salt, cashew nuts, garlic, herbs & spices. • Contains cashew nuts & milk. 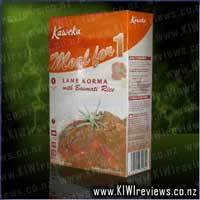 I had a craving for Butter Chicken and decided to trial this product. I went to a different supermarket to what I usually go to (Countdown for the cards - kids) and had a little difficulty finding it. Narrowed it down to two potential aisles and went down both a couple of times searching. 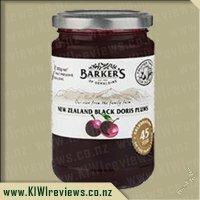 For some reason I assumed it would be in the centre and would have heaps of the flavours but alas found at the very bottom of the shelfs and only had four of the varieties. Luckily Butter Chicken happened to be one of them. Now having trialed a few of the currys already I have become somewhat of a pro when it comes to the procedure: spices followed by meat followed by curry then the simmer sauce nice and simple. However I double checked the pouch for the recipe and lucky I did as was completely different. This time had to brown the meat then add the simmer sauce followed by the sachet of Butter Chicken Masala and mix well. After dishing up the meal you can then season with the garnish of Kasoori Methi. Completely different to what I am used to. I can safely say this is the best meal we have had so far from the Taste of India range. It was delicious and everyone loved it. The girls still needed extra cream on it (think more out of habit) but both asked for more. They both said would love to have again and so did my husband. We discussed how nice this would be in a pie or with at least with some naan bread to get that last bit of sauce. 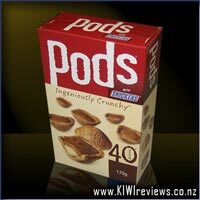 We will definitely be having a packet on standby in the pantry from now on. Butter Chicken is a family favourite here, and we usually consume it once a week. Its my partners signature dish and it never tastes right when I try. 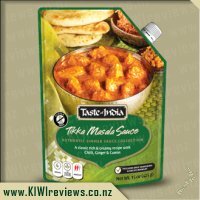 I was really excited to try this, to see how it stacked up to our &apos;go to&apos; and to see how the family liked MY Butter Chicken! I was a little dubious because when I read the instructions I didn&apos;t really need to add anything extra, no tomato paste, no butter .... I became a little concerned. The instructions are super easy to follow and are in this little pouch at the back, along with the spices that are provided to add. I sauteed an onion and added my chicken. (It doesn&apos;t tell you to add onion, however its an extra vege in my mind!) I browned the chicken then added the full packet of sauce. It says you can add water if you like, however I didn&apos;t want to dilute the flavour so I left it. I allowed it to cook slowly for about 30 minutes as I was sorting the washing and waiting on my partner to come home. I cooked some Jasmine Rice and made a salad to accompany. It didn&apos;t look like there was enough there for us if we just had rice and chicken. I also heated up some naan. I snuck in a sneaky taste test before anyone else and I was blown away. It was YUM! The sauce was nice and thick and coated the chicken well, so it was fine to dish up on a plate, rather than a bowl. Both my boys (plus the old one ...) gobbled it up - so there were no complaints. Yet there was no praise either. When I asked them how it was, they responded it was yummy. So that&apos;s a win in my books. Later on I asked my partner what he had thought, he said it wasn&apos;t as good as the usual, but was still good. It did lack in the rich tomato flavour that ours usually has, however I found the spice to be amazing, it wasn&apos;t &apos;spicy&apos; but was more dynamic than what we are use to. I would definitely buy this again, as it was super easy and you don&apos;t need anything extra (I loved the addition of coriander though). 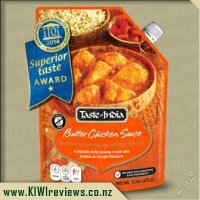 Taste of India Butter Chicken is the third in the range I have been lucky enough to try and once again I wasn&apos;t disappointed. Everything about this range I love! The design of the pouch is a major plus for me I love thats it is resealable. There is only two of us in our house so being able to use half and keep the rest is a major bonus. Though this time around I just made up the full amount. I also like how clear the instructions are it&apos;s fail safe for even the most basic of cooks to whip together. Once again it was super easy to make, dice up some meat, heat the oil and then start adding the spices. I really love the whole spices that come with it as it just smells so good when they hit the hot oil. I decided to detour from the recipe slightly and as well as chicken I added an onion and a few other veges. The taste was perfect! Very creamy with a good hit of tomato and spice. My husband felt it could of been just a little hotter but as I like mine mild to medium it was just right. I cooked the whole packet so after having dinner I still had quite a bit left so I decided to be creative. I thickened the sauce up a little and then used the leftovers to make butter chicken pies. It worked so well I think I know what I will be doing with my leftovers from now on! I saw this packet in the cupboard the other day when we were having chicken nuggets. I thought to myself, I wonder if that would make a good dipping sauce. I put a little bowl of the butter chicken sauce on each plate and let everyone try or not try as they wished. Only one child didn&apos;t try it, and I was not too surprised by that. The other child did try it, but thought it was a bit on the hot side. That nugget didn&apos;t get eaten. I enjoyed the sauce with my chicken nuggets as did my husband. It was not too spicy for us, but obviously my kids need more than mild! Last night, with the remainder of the sauce I made a proper meal with it. The sauce was fine, even though it had been opened for a few days. I had put it in the fridge just in case. In an oven dish I added chicken drumsticks and the herb packet. I then browned the drumsticks, and then once they were cooked through I added the remaining butter chicken sauce and spice mix. I then served the chicken drumsticks on rice. My kids ate a little bit, but still felt that the sauce was a little on the spicy side for them. But my husband and I enjoyed the meal. The flavour was definitely that butter chicken taste. Tomato and creamy, with not a great deal of heat. My husband has been really getting into curries lately and I think it was a bit too mild for him. But for me it was pretty much bang on the mark. This one is a good all-rounder, and definitely good for those who like a little heat but noting above medium. I could see myself buying this again for a dinner party, or even adding it into a care package. For a meal addition, this would easily stretch to two meals for our family which makes it really economical. 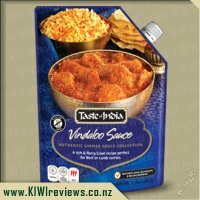 I like a good butter chicken and so I was really happy to give this sauce a try and see if it stacked up to restaurant dishes. I had some chicken tenders in the freezer and so I cut them up into cubes and put them into the frying pan, whilst that was heating up I put some rice in the slow cooker with one sachet of chicken soup powder to add a little difference to the dish. I poured the sauce over the chicken and I liked how easily it poured out and there was almost no sauce left in the packet, so a big plus. There are two little sachets, one that you stir in through the sauce and one for sprinkling on top of the finished product. I put the rice on top of half a garlic pita (with garlic butter on that), and then poured the sauce on top of it, not much of the sauce for the kids as I wasn&apos;t sure what they would think of it, and then some of the sprinkle sachet on top of the adults dishes. The kids liked it enough that they ate all the sauce and it was a struggle to get them to eat the rice. As for my wife and I, we both enjoyed it enough that we had seconds and I know we&apos;ll be buying this again for sure. 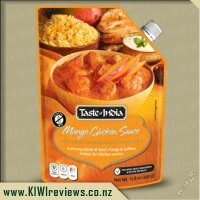 I am a huge fan of Butter Chicken and have probably tried most of the different sauce mixes that you can get from the supermarket as well as from different restaurants around town. 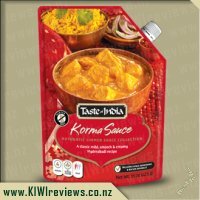 The Taste of India Butter Chicken comes in a well designed packet which has a spout on top to pour the sauce from, which is really well thought out because if someone only wanted to make a serving for one or two people then they could pour out how much they needed and reseal it and put it in the fridge with ease. On the back of the packet there is a little pouch which holds some spices and a little recipe book. The recipe book is perfect and shows step by step instructions with pictures to guide you through the cooking process. I love this because sometimes you are told to do something but you don&apos;t really understand what they are saying so the pictures here show you exactly what they mean so it&apos;s very hard to stuff this up. We cooked this according to the instructions and added in some of the optional cream. Once it was cooked we served it with rice and added some of the extra herbs it came with. On first glance the colour wasn&apos;t as bright as I was expecting but that might have been to do with the extra cream we added. The taste was very mild and I didn&apos;t think it had a strong butter chicken taste, it was definitely on the creamier side rather than tomato but it was still good and my husband and I finished our bowls. The next night we served up the leftovers to the kids for dinner, they devoured their bowls and asked for more so I&apos;d say it was a winner for them. 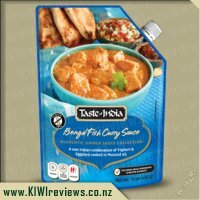 Overall it was a nice mild creamy Butter Chicken which our kids thoroughly enjoyed but I prefer a stronger taste for mine so I don&apos;t think I&apos;d buy this one again, although I will definitely be trying some of their other flavours. There is nothing I like better in cooking than a nice, easy, but delicious meal. If I were told to make a round of Butter Chicken from scratch, I probably wouldn&apos;t be able to do it, but this time around, using the simmer sauce has at least gotten me started on that road. Using the sauce wasn&apos;t hard, and because I was using it the time taken to cook the dish was reduced to less than half an hour. The instructions were very hard to misunderstand, I liked how each instruction had a picture to go with it, thus making it much easier to know what exactly to do, because just telling someone how to do something might not always stick, telling them AND showing them is undoubtedly more effective. Cooking the meal in general was rather easy, the only part that needed any great deal of attention was cooking the chicken, which is notorious for being a tricky meat to work with, but the sauce worked well, for most of the time all I had to do was let it simmer, as the name would suggest. The meal I produced was a success, but there were a couple of... problems. The first is portion size, the packet advertises 4 people&apos;s worth of sauce, but as it was, the portions I dished out were quite dismal in quantity. Second, after the food was ready, is overcooked easily, causing the sauce to lose its smooth texture and began to darken and wrinkle up. But these were the only two problems, and they didn&apos;t make too much of an impact. The authenticity of the sauce is hard to gauge, but having had Butter Chicken from an Indian restaurant, I had a rough idea of what Butter Chicken looks and smells like, and before the dish began to overcook, the resemblance between what I was cooking and the genuine article was uncanny. I loved how the packet came with a spice mix which you can add as little or as much as you desire into the meal, which means you can chose how spicy you want the dish. As far as diversity of use goes, this sauce is pretty limited. One does not have to follow the instructions to the letter, but I can only see this stuff being used for Butter Chicken and only that. Because I slightly overcooked the meal, it is hard to say how good the taste was from a personal perspective, but since I cooked this stuff up for me and my parents, I can say that they at least thought it was delicious. So if the stuff is good slightly overcooked, then I can imagine it would be awesome if done right! 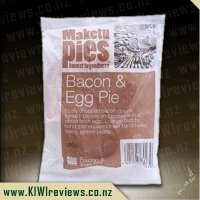 Overall, I would say that I am very pleased with this product, and I would definitely recommend it to anyone who would like to have quick but delicious meals, as this one sure hits the spot. 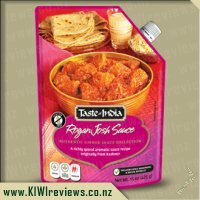 I would love to try the other packets from the "Taste of India" range as well, as this one has sure made an impression on me! 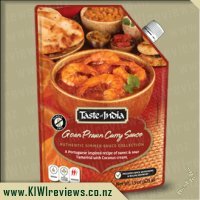 I&apos;m always trying to find a nice butter chicken sauce and I have a range of favourites as some are creamy, some have more of a tomato taste etc. 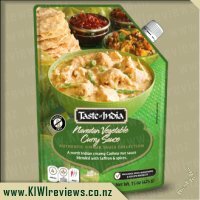 So when I saw this and had picked up some flavourless vegetarian chicken (I realise that may not sound like it makes sense, but that&apos;s what it&apos;s called ) I thought that this would be a good time to give this sauce a try. 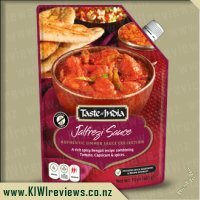 It comes in a pouch with a spout, so nice and easy to get almost every last drop of sauce out. It also has a little ziplock pouch stuck to the back of the pouch which contains two very small sachets of spices and a small recipe booklet. There is enough sauce, that combined with chicken (or in our case vegetarian chicken) and served on top of rice, you can serve four people. You add the entire pouch of sauce to your &apos;meat&apos; of choice to simmer, if you want to you can add water to it, but I found that it didn&apos;t need any water added to it. You then get to use the two little sachets that I mentioned previously. You add one to the mix, the ingredients tell you which, and the great thing is you can add as little or as much as you want and stir it through. When served you can then choose to sprinkle the other sachet over your meal, again as little or as much as you want. My husband and I both really enjoyed this sauce, and it is such an easy one to use. I love that it comes with a small recipe booklet. Will be getting this one again. Ever found yourself licking an ice-cream stick? Or eating biscuit crumbs off your lap? You have, haven't you? And we know why. It's because you've finished something tasty. The key word being 'finished'. Kaput. The final siren on your enjoyment has been blown. And you can't handle it.